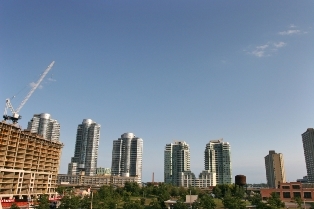 The report found that foreign ownership is most prevalent in new condo buildings in Toronto and Vancouver. In Toronto about 10% of newer buildings (built after 2010), compared to 2% of those buildings built in the 1990s. A similar trend was found in Vancouver, where 6% of units in newer buildings are believed to be foreign-owned. In the Toronto CMA, the share of foreign ownership is less than 2% for buildings completed before 1990 and 7% for newer constructions completed since 2010. This effect is even more pronounced in Toronto Centre where about 10% of the newer stock is owned by foreigners. In the Vancouver CMA, foreign buyers’ share rises from less than 2% for properties built before 1990 to about 6% for those completed since 2010. The stats were pulled from a fall 2015 survey. CMHC admits the data isn't perfect. "At this time, no existing tool can provide a definitive measure of the level of foreign investment in Canada’s housing markets," it said in a release. "That said, CMHC regularly engages in discussions internally, as well as with industry experts, as part of its continued efforts to develop a program of work that would better capture data on foreign buyers." For this discussion to be meaningful, we have to be told what definition of "foreign" is being used. Without it, the stats say nothing. so they only focus on condo, how about townhouse and single family home ? Foreign buyers hide behind friends and family living or not living in Canada so its difficult to get an accurate count.